Come Spring, Summer, Fall or Winter, Manistee has so much to offer for everyone. 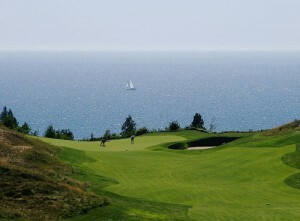 Centrally located are golf courses galore for every level of player, including the world-class Arcadia Bluffs. Manistee Inn also offers special golf and lodging packages and we make it easy by scheduling tee times for you! If not golfing, you can enjoy our miles of windswept Lake Michigan beaches, just a short stroll on the Riverwalk from the Inn. Or browse the shops in our historic downtown, listed on the National Register of Historic Places, and featuring fascinating architecture in historic turn-of-the-century buildings. Interested in fishing? We’ve got that too. Just checked out our Marina and let one of our experienced charter captains take you and your friends out for the fishing trip of a lifetime. Wine tasting at Douglas Wine Vineyard, aerial site seeing tours, Festivals and so much more! Visit the Manistee Visitors Guide website for a calendar of events now. West Michigan has some world-class mountain biking just minutes away on the North Country Trail and at the Big M Ski Area near Wellston. The M-55 trailhead is an easy jumping off point many of the trails. For more information visit the Trailhead Bike Shop web page and click on area rides and follow the sub pages down to the descriptions of area rides. All have Google maps and descriptions. Come experience the fun for yourself!